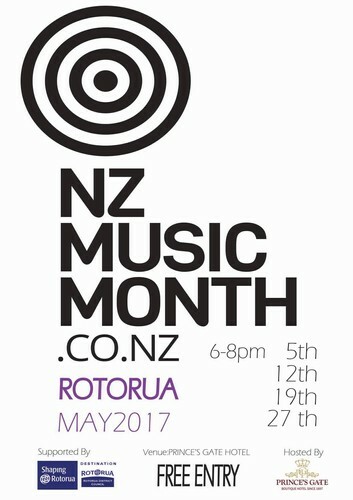 May Music Month Rotorua Presents NZ Music Month at Princes Gate Hotel! 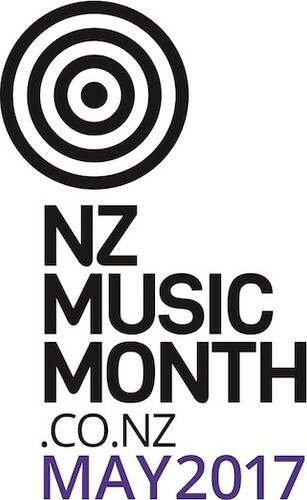 Join us for a weekly celebration of local talent performing original work or songs written/composed by NZ Artists. Local musicians, local music in a local iconic setting! Happy Hour drink specials for supporters. 'Loudest Clap Award' presented each Friday to the artist who receives the heartiest audience applaud. Winners will perform at The Finale, 27th May, in the Monarch Room. Line-up for the first Open Mic will be announced shortly. There is still time to enter your name if you would like to join in. Email Karin Vincent at theroguestage@gmail.com.